Keynote speaker and retail expert keeps audiences begging for more. Make Your Customers Love You So Much They’ll Never Go Anyplace Else! 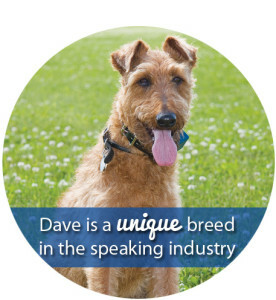 As one of the leading independent retailers in the United States, professional speaker, and pet product developer, Dave Ratner connects with customers on a daily basis. With common-sense, forehead-slapping insights on management, sales, marketing, customer service and customer loyalty Dave’s engaging and laughter-filled keynotes and trainings pack in the crowds. Businesses across the country have used Dave’s strategies to increase revenues and compete with “Big Dogs” in their marketplace. He dedicates his time supporting ‘the little dog’ nationally as one of the few independent retailers on the National Federation of Retail Associations. You Are Who You Hire! Dave’s speaker page has detailed keynote descriptions for each topic. Find Dave’s online speaker press kit here, along with videos, Dave’s biography, introduction and speaker packet. Audience members rave about Dave. As a successful entrepreneur with 8 retail pet stores and 150 employees Dave knows when business owners and managers take time away from the shop to hear a speaker – they want valuable take aways. From customer service tips to human resource advice and even Dave’s recommended advertising plan, managers and owners fill notebooks with cost saving, tested practices they can implement right away. 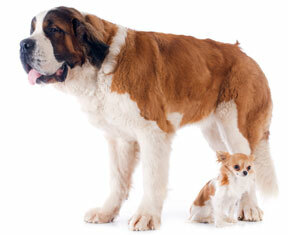 Author of Customer Love: Make Your Customers Love You So Much They’ll Never Go Anyplace Else! Professional Speaker, Retailer, Entrepreneur and Author – A Breed all his own! Unleash Dave’s Strategies At Your Next Event — Contact Dave Today 1-888-763-2738 or fill out a quick contact form!